Whether it’s our global presence, the decades of spawn making expertise or the scale of our operations, here at Sylvan we pride ourselves on our dedication to the global mushroom industry. The unique combination of cultivation knowledge and our premium quality products ensures we help mushroom growers around the globe maximise the value of their crops. We have one of the world’s largest collections of agaricus and exotic strains, as well as casing inoculum, providing the ultimate choice to suit our customers’ needs. We are also the premier source of nutritional supplements and disease control agents. And our consultants are available for on-farm support worldwide. 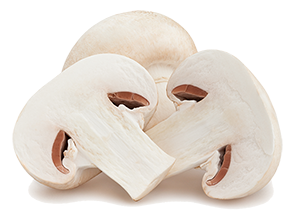 This allows us to assist growers to cultivate the highest possible quality mushrooms. Sylvan customers can expect all spawns to have undergone the strictest testing procedures to deliver the most consistent, reliable and predictable results in the industry. Mycological science combined with hands on-farm experience ensures we help our customers achieve their targets daily. Connect with us today and discover what it means to experience Cultivating Excellence. Contact our composting and cultivation experts today and let us share our knowledge, so we can help you grow, because we realise that growing productive crops is far from an easy task, our team of experts are available for on-farm support or immediate response via email. Sign up to receive regular emails with information and key growing tips that we have sourced through our decades of experience at the forefront of mushroom growing. Build on your strengths and contact us today.